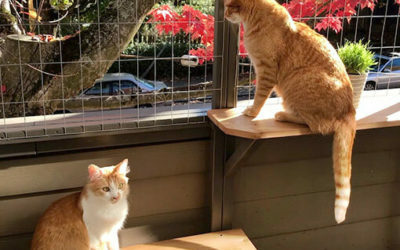 Above a bustling city street, Fanta and Finnegan are living the “high life” in their deck catio with fresh air, people watching and more! One of the joys of catios is you can decorate them. 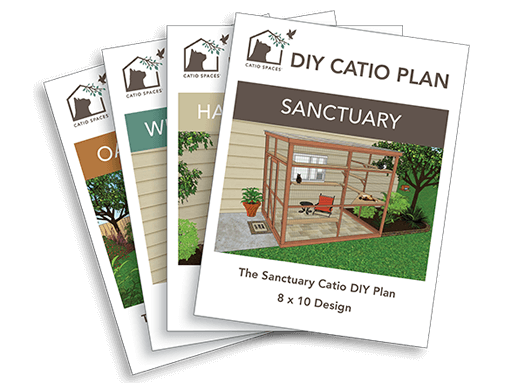 See tabby Monty in his Halloween themed catio. 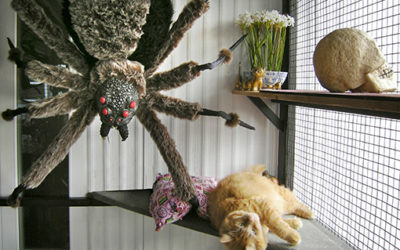 Apparently he isn’t afraid of big hairy spiders! 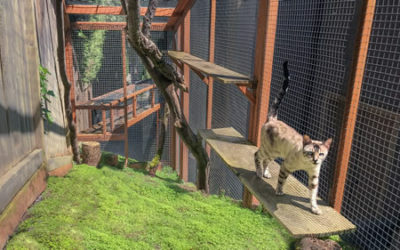 Adventure seeking Max, a high energy Bengal cat, enjoys the stimulation of nature in a custom catio and catwalk with the wind in his whiskers. 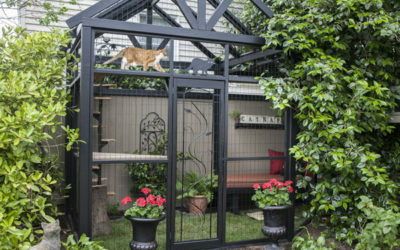 Follow tabby Serena’s happy tail through four catios with views of a delightful garden that she shares with Catio Spaces’ founder, Cynthia Chomos.